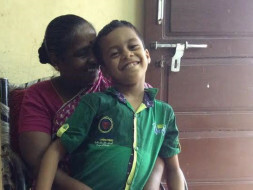 7-year-old Gopinath lives with his grandmother, Elavarasi in Chennai. From having diagnosed with a life-threatening blood disorder at just 3 months, having had to witness his father set fire to himself when he was just 2 years old and his mother abandoning him the second day of his father's death, this little boy has gone through a lot of struggle in these 7 years. Now in the care of his aged grandparents, Gopi is passing each day towards an uncertain future. His grandparents are struggling to continue his treatment which has put this little's one life at risk. Gopi was two years old when he lost his father, Suresh Kannaiyan. He used to work at an outlet where he stitched buttons on to clothes. Suresh set fire to himself after an argument with his wife. 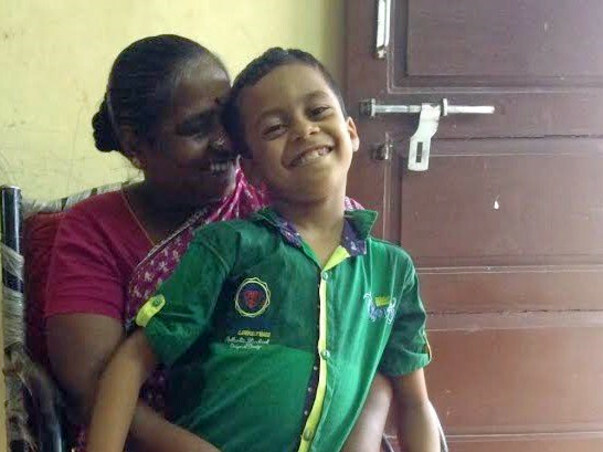 Despite hospitalisation, he couldn't be saved as his respiratory system was severely damaged.Gopi's mother left him two days after Suresh's death and hasn't been heard of since. Suresh and his wife had an inter-religion love marriage. Due to this Elavarasi didn't know about her daughter-in-law much in order to trace her and bring her back. 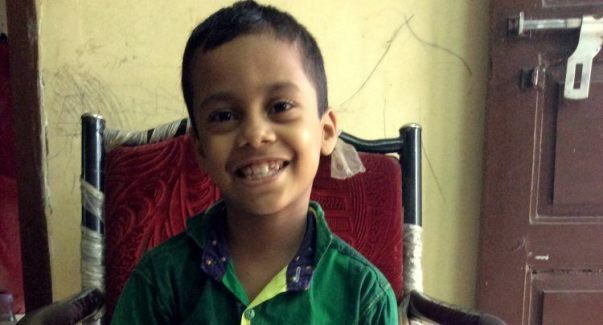 Gopi was diagnosed with Thalassemia Major when he was just 3 months old. He has been on blood transfusions since then. Now he goes to a Voluntary Health Services centre every 15 days for a transfusion. He takes four tablets a day for his condition. His grandmother. Elavarasi takes special care of the iron levels in his blood as it is crucial. Blood transfusion is a temporary solution to his problem and comes with its own set of side effects when continued for long. 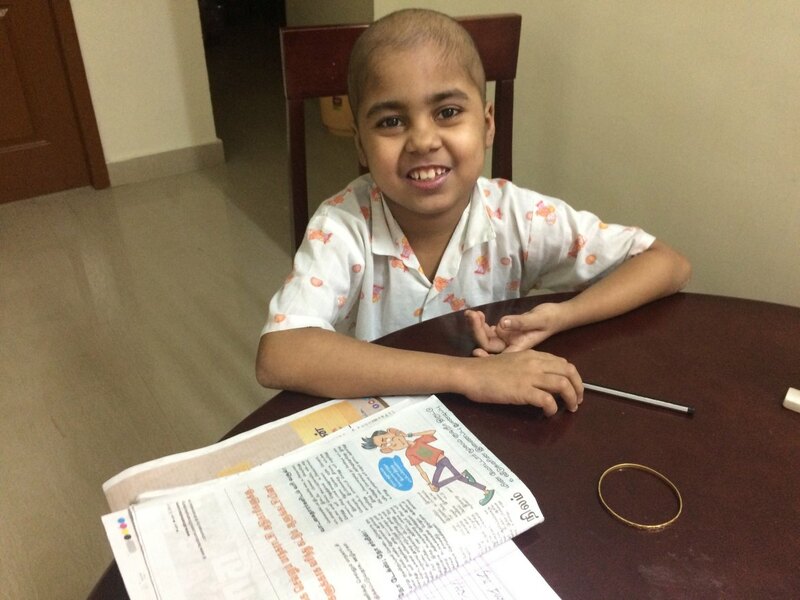 Gopi was referred to Apollo Hospital for better treatment. His doctor recommended a bone marrow transplant that can save him but as complex as it sounds, the procedure is expensive. Doctors have arranged for a matching stem cells unit from a German Registry. The total expenditure of the transplant is 25 lakhs. This is way beyond what Elavarasi could arrange and aged couple are in need of desperate help. Elavarasi's two sons are dead. The elder son died near a beach in Chennai and the younger one, Gopi's father, committed suicide. There is not a single day without her mourning the death of her sons but she is determined to not give up. She is raising Gopi with more love than she gave her sons. She does not want to lose Gopi to this disease. Gopi is the only one who adds meaning to her life. At this age, Elavarasi works as a cook in two houses in her neighbourhood and earns Rs. 6000 monthly from this. Gopi's grandfather does odd jobs such as painting, cleaning houses. 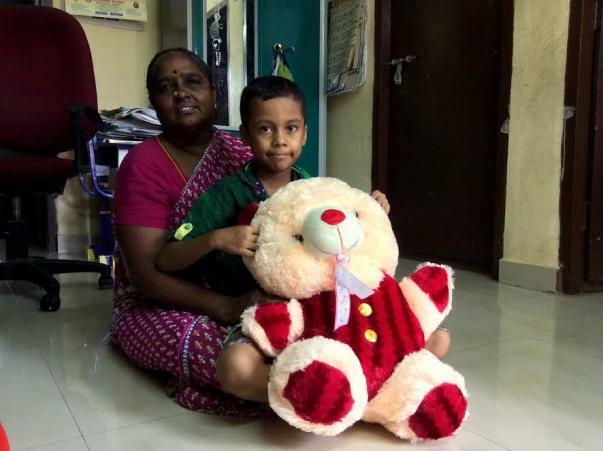 With this income, Elavarasi pays her house rent, Gopi's school fees and manages his treatment expenses. We can never fully understand the pain of losing both the children and having to see the only blood relation suffering from a deadly disease. Elavarasi, her husband and Gopi have suffered a lot in the past few years. Perhaps, our gesture today will be the reason for a day of happiness in the lives of these three after many years. 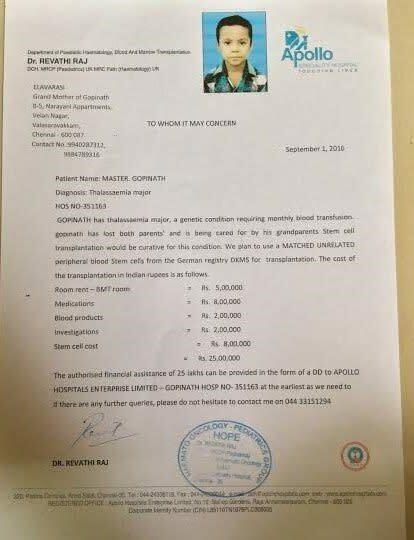 Your contribution will help save little Gopi's Life! Thank you for your overwhelming love and support. This has been a very emotional time for me, seeing my grandson go through such pain. However, it gives me immense pleasure to inform you all, that my Gopi is doing very well now. He is on the road to recovery. His weight and his height are exactly what they should be at this stage. He is currently on medication which will continue for about three more years. I take him for blood transfusion once in three months now. Initially, there were some side effects like, his legs would go red, but now, even that has cured. He's very active all day, studies well, meets his friends and more importantly, my baby is happy. Thank you all once again. I'll forever be grateful to you all for you gave Gopi a new life and I have someone to call my own.
" I just do not have words to thank all of you, I could not have been with my grandson if not for all your support. Your blessings have helped Gopi recover faster. ", Elavarasi, Gopinath's grandmother. Gopinath is doing good now. He is a naughty kid from the third grade. He goes to school and is doing good academically. He likes playing around and doing mischievous things. As per the doctor's suggestion, he has to sit alone in class as a precautionary measure to reduce the chance of getting infections. He has to visit the hospital once a month for follow ups. He just goes there, greets everyone and comes back. "I want him to study hard and help everyone as much as possible. Every morning before going to school, he prays to God and with Gods name, he thanks all his guardian angels, the supporters who showered so much love and blessings on him. ", Elavarasi, Gopinath's grandmother. This is Haritha, a fellow based in Chennai. I recently had a chance to meet gopinath with his grandparents and we have very good news to share with you. 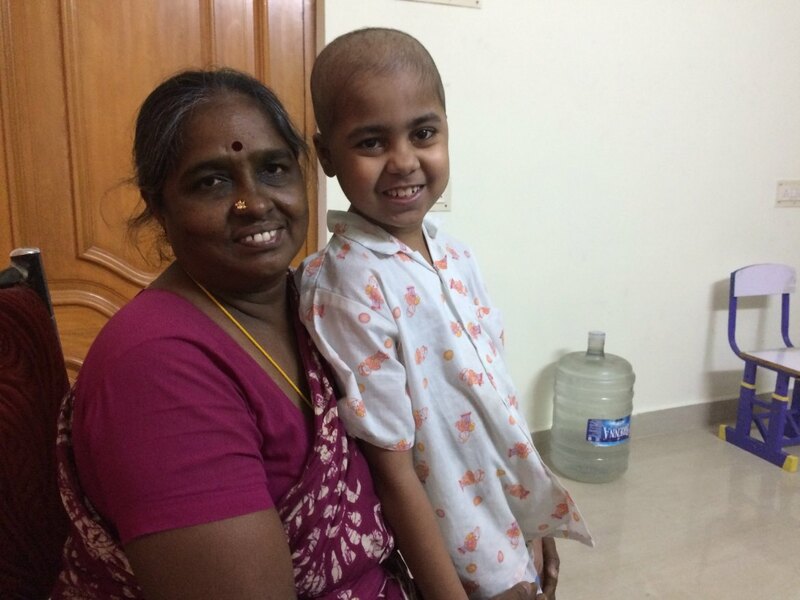 Gopi successfully underwent his bone marrow transplant and is now recovering well. “There is no joy bigger than seeing Gopi eating well and playing” says his grandmother, Elavarasi. He no longer needs blood transfusions and he visits the hospital regularly for check-ups. 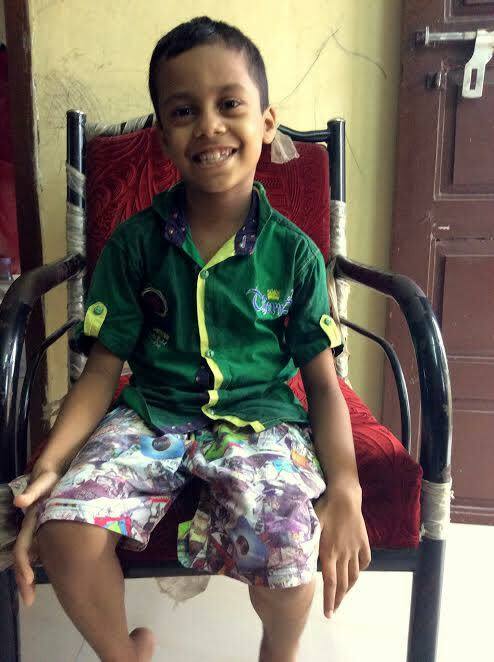 The teachers and classmates of Gopi have also been extremely supportive and he is expecting to resume his schooling from the upcoming academic year. All of this wouldn’t have been possible without your support! Gopi’s grandmother wanted to convey her sincerest gratitude to everyone who contributed and made this possible.